Free course access continues as long as membership is active. You will only be billed $9.99 per month (less than a trip to Starbucks). You can adjust your membership at anytime by logging into your profile at www.thecouragecourses.com/login. Adjusting your membership must be done using this method and is your responsibility. We cannot offer refunds for partially used or unused memberships. Never-Before-Seen, Behind The Scenes Videos With Kirk - ALL NEW, Unplugged, And Talking About The Issues You Care About Most. PLUS weekly guests like Eric Metaxas and a Q&A with YOU! An Exclusive, Members Only, Weekly Family Devotional - Put Together By Our Dear Friend, Becky Kopitzke. She's Awesome! Incredible Podcast Interviews From Awesome VIPs - You Won't Hear These Anywhere Else. Tons Of Practical Articles - Giving You Specific Insight On Marriage, Family, Parenting And Faith. Bonus Access To ALL Of Kirk's Courses On Marriage And Family - Helping You Through The Toughest Life Moments. 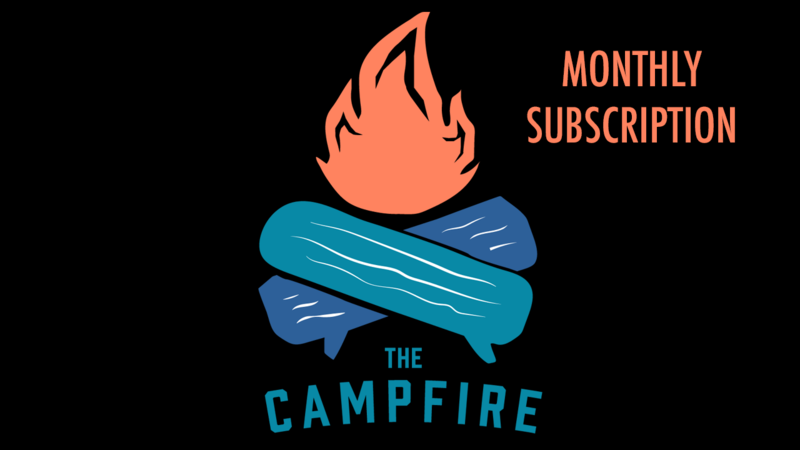 "The Campfire Minute"... Quick, Inspiring, Daily Audio Devotionals To Encourage You When You Need It The Most. 10% OFF Inside TheCourage Apparel Store - Grab Yourself a Mug, Hat And A T-Shirt! Private Access To Our Insider-Only Facebook Group and Message Board, "The Circle" - If You Need Prayer, Support, Accountability Or Encouragement, We've Got It Right Here! This Is The Community Of Like-Minded Believers That You've Been Searching For! Free course access continues as long as membership is active. You will only be billed $9.99 per month (less than a trip to Starbucks).